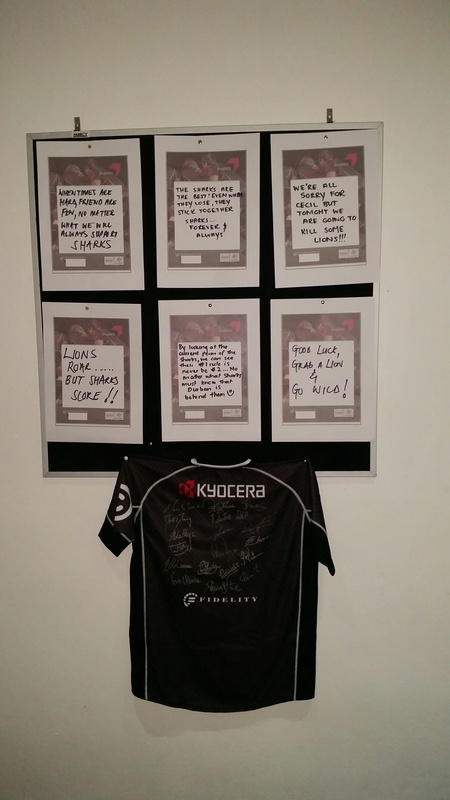 In order to demonstrate Kyocera’s document solutions and hardware capabilities we created an activation at Kings Park that allowed fans to send messages of support to the teams change room in real-time in the immediate build up to games, using Kyocera tech. Players received messages of support in real-time and interacted with fans from the change room on social media. 1. 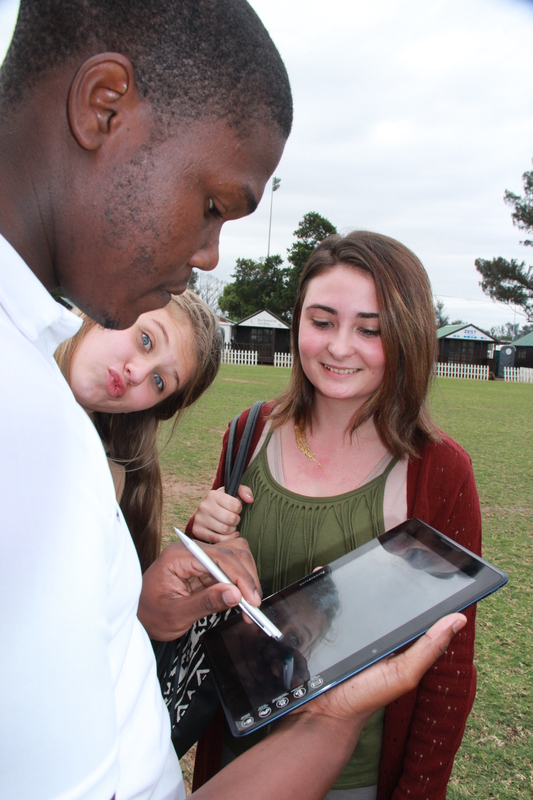 Kyocera #WEGOTYOURBACKS fan activation stand: in the build up to kick-off a Kyocera activation stand at the stadium was armed with brand ambassadors, tablets and branded message cards. 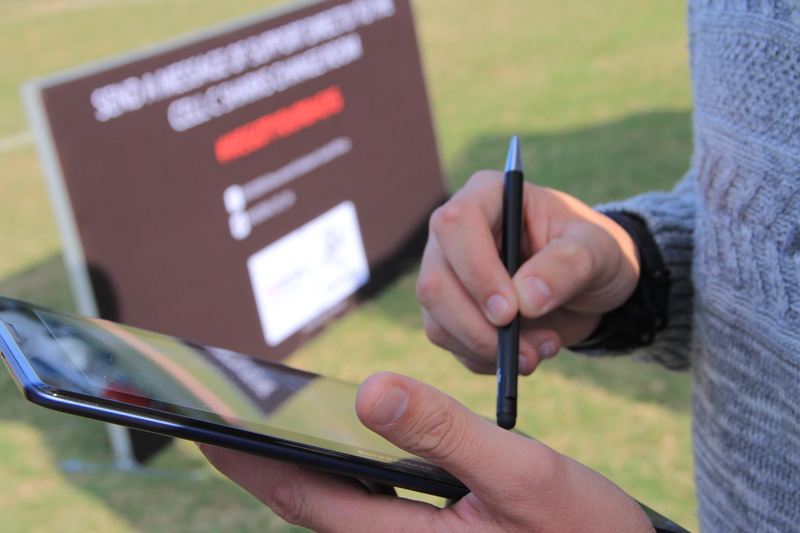 Fans needed to include their Twitter handles and could either write their messages of support electronically on the tablet or manually on the branded cards. 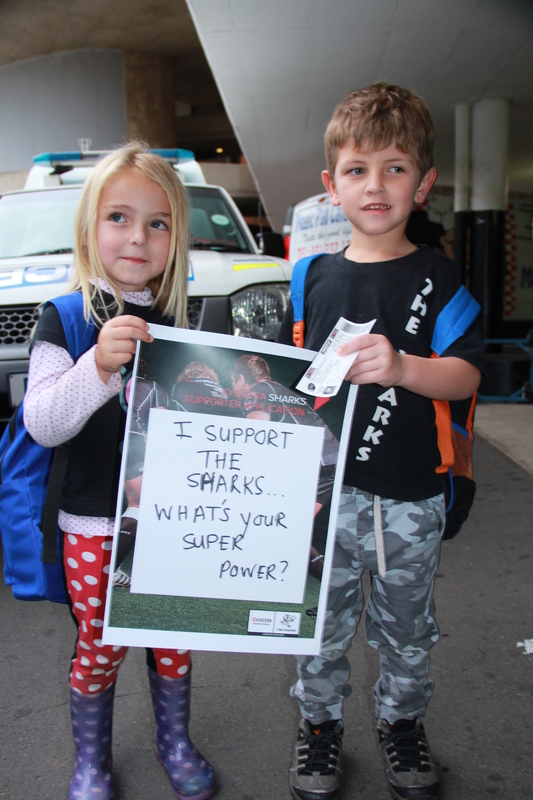 Their messages of support were then sent directly to a printer in the Sharks locker room using Kyocera Document Solutions. 2. 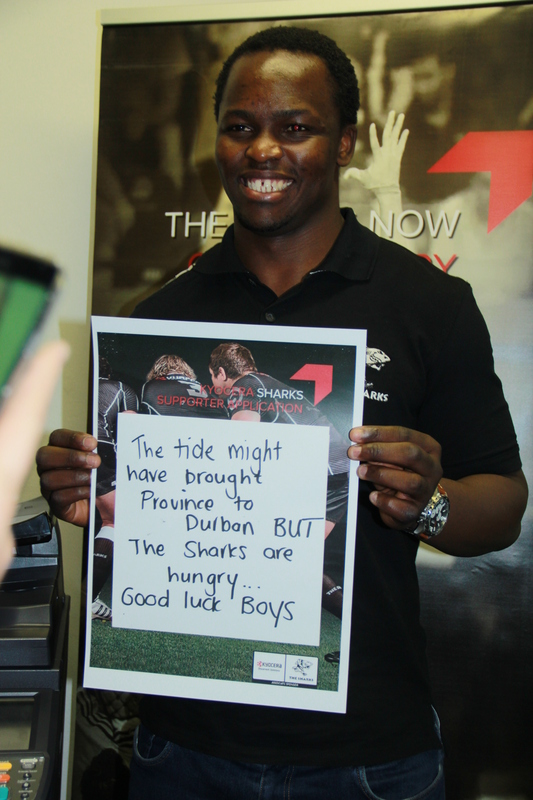 Sharks Locker Room: messages of support were printed in real-time and displayed in the teams locker room. What the fans didn’t know is that players would pose for photos with the best selected messages. 3. Personalised Tweet: The photos taken of players were then sent back to the fan who sent the message on Twitter, thanking them for having their backs. 4. In-stadium messages were also displayed on the stadium big screen at half time with the recipient of the best message receiving a signed jersey from the team.